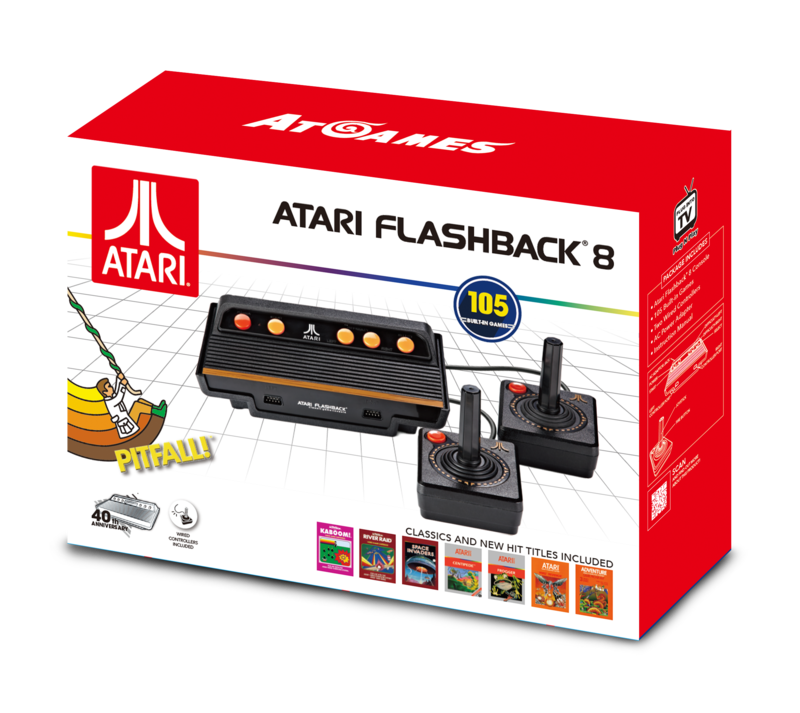 Atari Flashback® 8 Classic Game Console with built-in 105 games, including Atari 2600 greatest hits: Asteroids ®, Centipede ™ and Millipede ™. Activision’s crown jewels: Pitfall! ™, Kaboom! ™ built-in. Includes two wired controllers and legacy controller ports. Plug and play on your TV. Comes with AC adapter and AV cable.